Official Player and Coach of the Month sponsor NASCO has announced a new amazing package for the player and coach of the week as well as player and coach of the month in the upcoming Ghana Premier League. At the launch of the 2017/18 Ghana Premier League season, the Marketing Manager of Electroland Ghana Limited, producers of NASCO appliances Adiza Abu revealed his outfit's plans of making the award more attractive and competitive in the coming season. She announced their decision to augment their prizes for respective winners of the Man of the match, player and coach of the month. Each Man of the Match winner will receive a new Nasco Magic Mobile Phone in addition to a NASCO electronic shaving machine. For the coach and player of the month, they must shape themselves up for brand new tv sets from NASCO. "For the 2017/2018 Ghana Premier League Season, each Man of the Match winner will go home with our new Nasco Magic Mobile Phone as well as a NASCO electronic shaving machine," Adiza said at the launch. "For the player and coach of the month winners, we have again decided to upgrade the prize from a mobile phone to television sets. 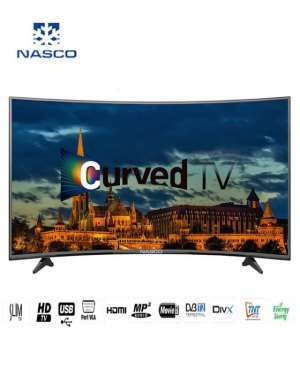 Every player of the month winner will be rewarded with a 32-inch NASCO LED television and a trophy with the winners' name inscribed on it. "For every coach of the month winner, they will be rewarded with a bigger television; a NASCO 40 inch LED television and a trophy, with their names are boldly written on it," she added. The new Ghana Premier League season is set to kick off on 3rd March 2018.